A stunning property, Gazipasa Star Hotel and Apart is situated in the centre of Side town in Turkey. The nearest nightclub from the property is just 1 km away. Guests can also visit the Side town centre nearby. There is a sun terrace here at the Gazipasa Star Hotel and Apart and guests can also take a dip in the inviting pool here. There are some fun water slides where guests can enjoy along with their children. Gazipasa Star hotel & Apart is just the perfect destination for an enjoyable holiday. The resort offers shuttle service to the beach in the summer season. Free private parking is available on the site for the tourists. Stay connected with your friends and family by accessing the free Wi-Fi offered here. 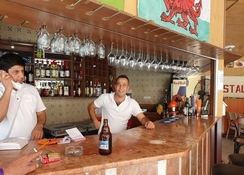 Gazipasa Star Hotel and Apart is just 900 m from the beach. Guests can reach the hotel by air via the Antalya airport located at a distance of 55.3 km. Guests can also travel to the Manavgat City Centre via the local transport buses available here. While here, do visit the Taurus Mountains at a distance of 40 minutes by car. The rooms at Gazipasa Star Hotel and Apart are well-appointed and facilitated with air-conditioning, en-suite bathroom, balcony, safe deposit box, satellite TV, hairdryer and telephone. The apartments offer kitchenettes. The apartments also come with a sitting area and a private balcony. You can find scrumptious local and international cuisines here at the Gazipasa Star Hotel and Apart’s restaurant. Guests can also enjoy some exotic drinks at the onsite bar. You can expect the cuisines prepared with seasonal ingredients. There is a covered terrace where you can enjoy your meals. 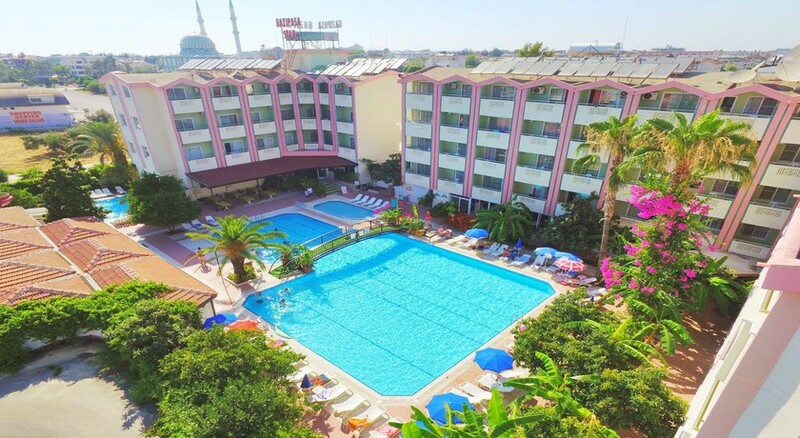 Guests can enjoy the two inviting pools at the Gazipasa Star Hotel and Apart with water slides. You can also soak in some sun at the sun terrace. The children’s play area will keep your children occupied. You can access free Wi-Fi in the public areas. A Turkish hamman and a sauna are a must try here. 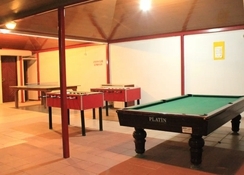 Very basic hotel, the staff are fantastic, is is very very clean, in a quiet location. Stayed here in June last year with family. Clean tidy lovely gardens and the staff couldn't do enough for you. Kids loved the slides. Good value for money. Went to Side Beach Club with a friend in September and it was disgusting. Stayed one night and moved into the Gazipasa. Lovely time for the rest of the week. Going again with family in 3 weeks time.